It's been over two months since I've reviewed a beer in full; that changes tonight! Ich bin ein Berliner Framboos is a collaboration between Brouwerij Alvinne and Laugar Brewery, a Spanish brewery that I hadn't previously heard of. This was part of a sour pack that I received from Richo & Eliza for my birthday, thanks guys! 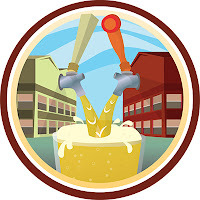 Better Together (Level 15) is the reason we're talking about this beer. For those who don't know Better Together is the badge for drinking collaboration beers - something that is becoming more and more common. Ich bin ein Berliner Framboos is a Berliner Weissbier with a grain bill comprising, among others, 30% rye & 20% wheat. It then spends 8 months in oak barrels before raspberries are added for a further 4 months. The beer pours an unusual orange-tinged pink colour, which is quite alluring. The head is slightly pink, about 2 fingers high and relatively short lasting. Large bubbles were present in the head almost from pouring and they only become more prevalent as the head dissipates over the first two or three minutes of drinking. The head disappears completely, leaving no lacing behind to show it had even been there. All of these characteristics are typical of a Berliner Weissbier, although the colour is extraordinary. It's good looking beer. Onto the nose and it was pretty much what I would expect given what I knew of the beer. The dominant aroma was of raspberry, although there was little fruit sweetness. There is plenty of tartness accompanying this as well as some light lemon. 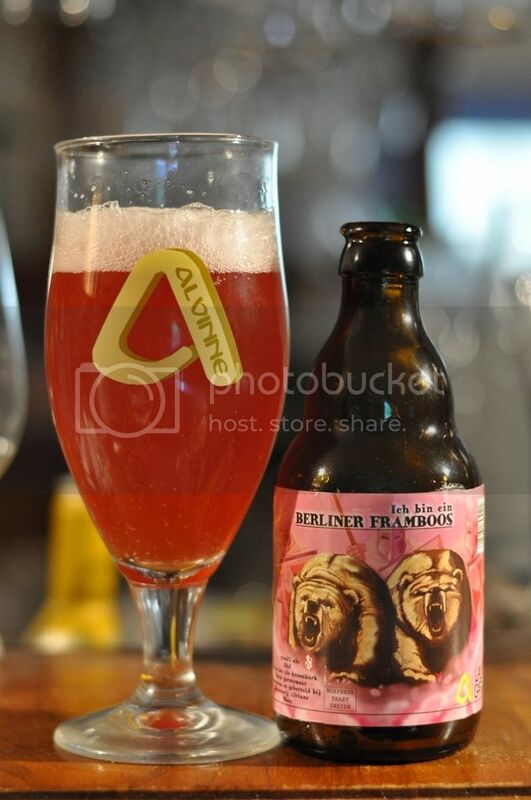 Ich bin ein Berliner Framboos is a lovely raspberry Berliner Weisse. The flavour follows the nose; with pronounced tartness and plenty of raspberry, which is strangely lacking in sweetness despite it's strong fruitiness. As the beer warms there is this lemony acidity that becomes more apparent. It's a really wonderful example of a Berliner Weisse. This was another wonderful Alvinne sour, they so rarely disappoint. I'm intrigued by how they've imparted the raspberry flavour with so little sweetness. I've been told I'm too positives with my review so I'm going to try and do some negatives. The carbonation is on the higher side. I think this almost works for this beer with it coming across as spritzy and accentuating the tartness, but it may not be for everyone. There is also no apparent signs of 8 months of oak barrel aging, although it has surely had an effect on the tartness. These are both very minor complaints; if you're into fruit sours, I would highly recommend seeking this one out.